Hope everyone's had plenty of chocolate and other goodies! I did an easter egg hunt with my little sisters yesterday (CHOCOLATE CHAOS!) 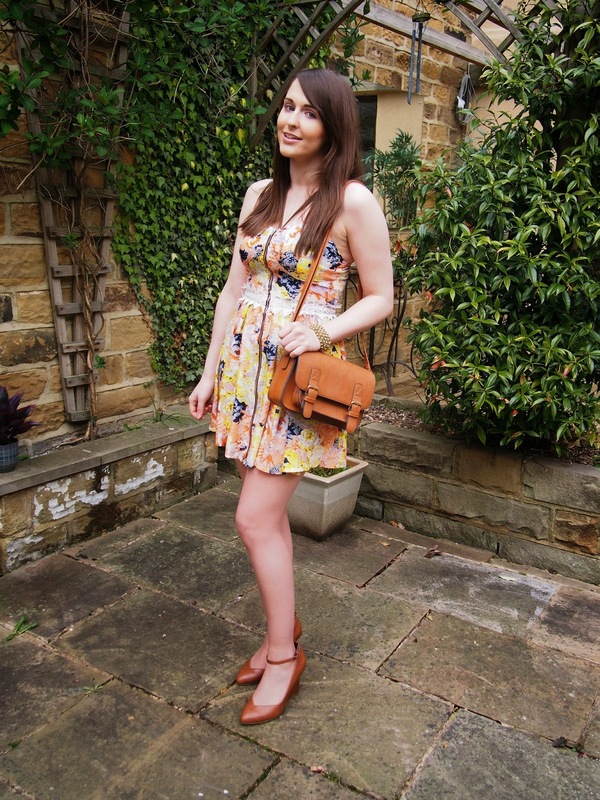 and then headed up to the coast to stay with my boyfriends parents, so thought I'd share with you a few snaps of my easter outfit (and their lovely garden!). I was recently given the opportunity to pick out a dress as a gift from "Madam Rage". After much deliberation I narrowed it down to 3, and then waited for the chosen one to arrive! 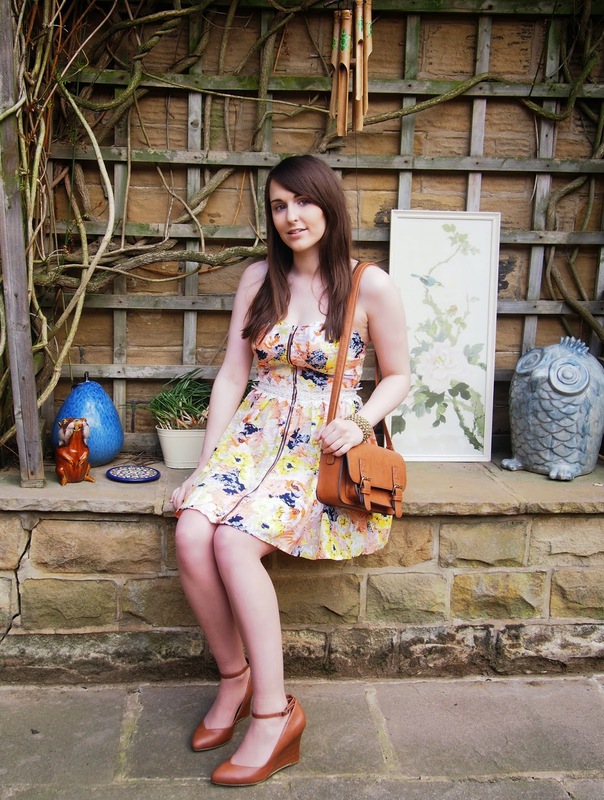 What says spring more than florals really? What with all the flowers popping up everywhere, I thought this was the perfect eastery outfit! 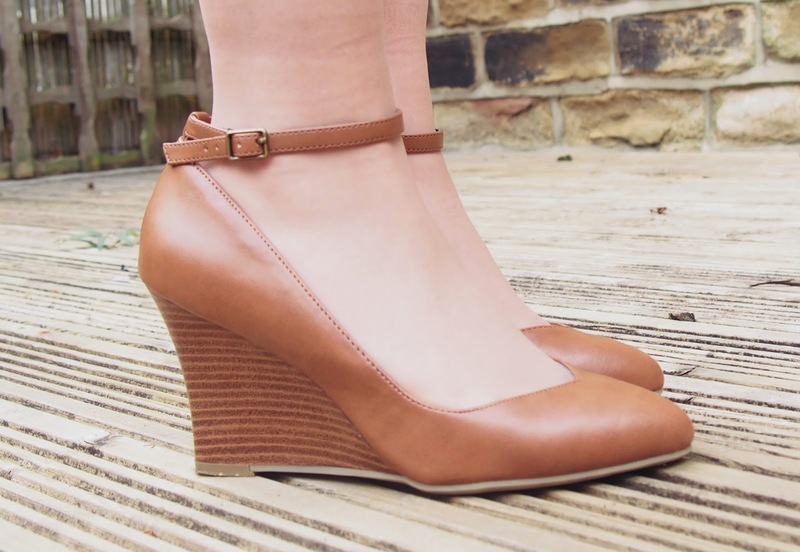 :) I teamed it with a Next brown satchel and some brown Newlook wedges - which are my new favourite shoes as they just seem to go with everything! I was gutted when i first picked them up as they said wide fit...but I think the straps stop me from sliding around in them. That or I secretly have fat feet! So my spending limit is going quite well! I've been finding so many clothes I'd forgotten all about, because I'd usually just be buying more and more! It's forced me to make more use out of my wardrobe and tbh I think it's improving my style as i've been a bit more daring about mixing prints and trying out new styles! That said, I definitely can't wait till May! Work's just so much better when you're getting parcels delivered daily! But I certainly will be appreciating my clothes a lot more from now on! £10 skirt from Newlook - adorable elephant print and did I mention only 10 POUNDS!! 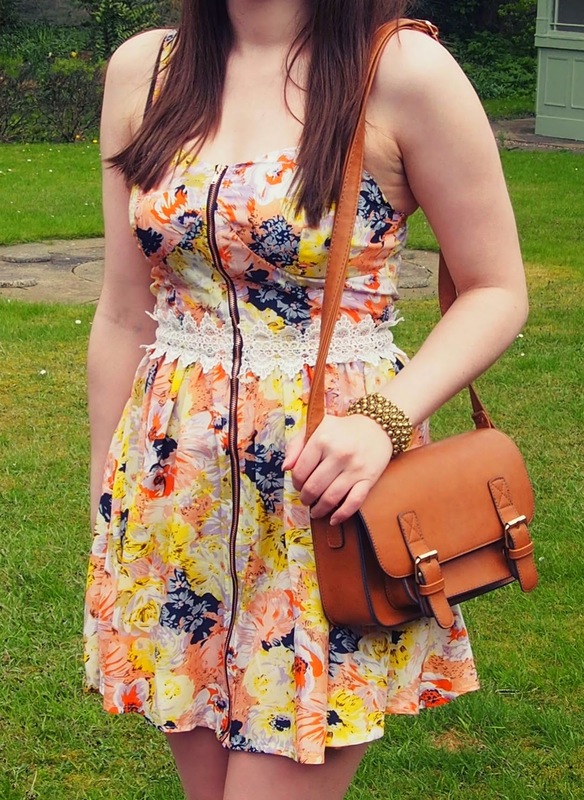 White Satchel from Newlook - Another bargain only £6 pound! Bringing me to a total spending of £55 (including a primark cardi I got) ...leaving me with £25 for the rest of the month! Okkk so maybe i'm not doing that well haha, but hey I've not gone over yet and I've only got another week and a bit left to stick it out! The dress is indeed gorgeous dear.x Love the print, and it looks perfect paired with brown! Love the dresses you mentioned as well, especially the middle one. As for your budget limit, you are indeed doing great. Love the items you picked, such versatile pieces.x Have a lovely day! You match pieces so well with accessories, I love it. I think this look is perfect.